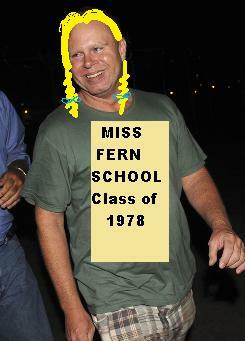 Steven Slater dismissed from Jet Blue and Miss Fern’s School too. Home → Damien Zone → Steven Slater dismissed from Jet Blue and Miss Fern’s School too. Steven also faces some criminal charges but his biggest crime is being a big bitchy girl. But it’s too late for us to say anything because the Grande Dame of Jet Blue has been grounded. She, we mean, he also faces criminal charges because he could have killed somebody with that slide. Also, it’s been coming out that Steven was nasty and bitchy from the second the flight left the gate, and passenger accounts, much to the contrary, do not support his side of the story. It will all come out in court. Ohhhh what a queen! Besides working as a flight attendant, Steven was also attending a very trendy school while his father was away on military business. Now the school wants him to slide the hell outta there. 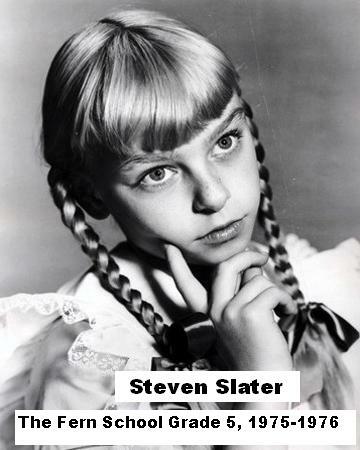 Poor Steven Slater, he won’t be able to go back to Jet Blue or to The Fern School because as time moves on it becomes more and more apparent that he is not telling the whole truth. He knows something alright but he’s sticking to his story. Right now he’s somewhere between having a lot of people liking him and a lot of people not liking him. She better get a good look at him now because in about six months he might just be doing 7 to 10 — and we ain’t talkin’ inches either. Maybe he is, but we’re not. Steven Slater converts to Judaism - goes to work for El Al.